Po-lar-i-ty is the brainchild of maverick producers Osunlade and Burlie Mac. A collaborative project aimed at exploring the sonic nuances of polar opposites, the innovative duo synthesises electronic and organic elements into something entirely new, creating a new sound that’s unlike anything else. Positive and negative interact, creating hypnotic grooves and inspired transitions that are a cry from what’s known from Osunlade’s previous work, and a fresh outlook from Galway newcomer Burlie Mac. Their first release, the eagerly-anticipated 12” ‘We-are-brothers’, was issued on Yoruba Records in December 2018, to critical acclaim. Osunlade is known as a veteran DJ and producer, but best described as an artist inspired by spiritual ideals. His extensive discography spans over two decades, seven studio albums and countless indispensable EPs, exploring the outer reaches of jazzy, deep and organic house music. Made up of Osunlade and Burlie Mac, this transatlantic duo met at the legendary Burning Man festival after both performing in the same DJ camp. 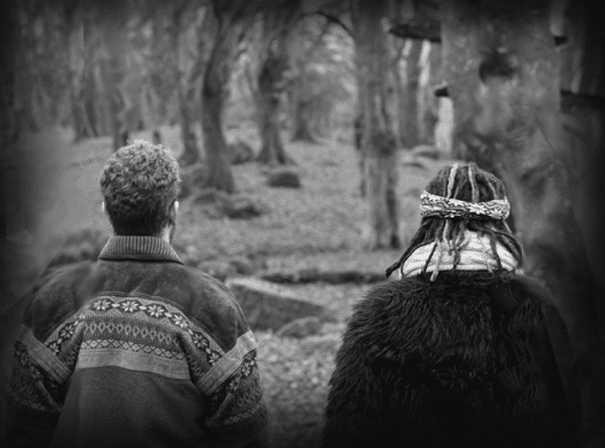 Inspired by their mutual admiration for each other’s work, they began a fruitful creative relationship, Osunlade mentoring the younger Irish producer. This project is testament to that mentorship and an exhibition of the musical evolution that Burlie has taken as both a producer and DJ.